Born January 14, 1931 at the City of Saint-Petersburg (former Leningrad) Russia. Son of Ph. D/ Nikolai Romanenko and Ph. 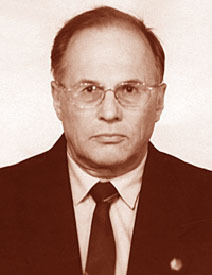 D. Rakhil Ptatusevich (both deceased). 1996. Academician. Russian Academy of Natural Sciencies. Saint-Petersburg branch. 1994. Corresponding member. Russian Academyof Natural Sciences. Education and junior scientists support division. 1993. Corresponding member. Petrovskaya Academy of Sciencies and Arts. Civil engineering division.Academical Counsellor.Russian Federation Academy of Engineering Sciences. Civil Enginerring Division. 1983. Expert in metrology and scientific instruments.State Institute of Post-Engineering Education. Thesis subject: Homogenity of materials and thermophysical materials sensors. 1967. Profesor in Physics. Leningrad Higher Engineering Marine School (Now Academy of Merchant Marine). 1966. Doctor of Sciencies. Moscow Institute of Steel and Alloys. Faculty of Semiconductor Materials. computing of phase diagramms, preparing of Ge-Si, InSb-GaSb, and $InAs-AlAs monocrystals in wide composition range. 1966. Seniour Researcher in Energy Conversion Materials and Devices. All-Union Institute of Current Sources. Section of Thermoelectricity. Thesis subject: Silicon-Germanium alloys production for thermoelectic devices. 1962. Ph.D. in Solid State Physics. State Optical Institute. Division of optical crystals. Advisor: Academician, professor Vladimir Tuchkevich. Thesis subject: Zone-levelling processes, preparing of Silicon monocrystals by CZ-method, homogenisation of InSb-GaSb alloys. 1953 M.Sc. student in theoretical physics. Leningrad State University, State Optical Institute Advisor: Professor Anatolii Vlasov. Thesis Subject: Affect of glasses quality on its infrared and Raman spectra. 1979-1999. Saint-Petersburg State University of Architectute and Civil Engineering (former Leningrad Institute of Civil Engineering). Position: Head of the department, professor. Chairman of State Examination Comission in Physics and Labor. 1974-1976. Saint-Petersburg Technology Institute. Department of material scince theoretical foundations. Position: Head of the department, professor. 1967-1974. Leningrad Higher Engineering Marine School (now Acadenmy of Merchant Marine). Department of physics. Position: Head of the department, professor. 1964-1965. State Optical Institute. Department of post graduate education. Position: associated professor. Leningrad Polytechnical Institute (now Russian Technical University). Department of electronics materials. 1955-1964. Physico-Technical Institute of Russian Academy of Sciences. Position: M.Sc. student practicum advisor. 1980, 1987, 1988, 1989. Arkhangelsky State Pedagogical Institute, Syr-Darya State Pedagogial Instituite, Novocherkassky State Politechnical Institute. Position: consulting professor. 2011- present North-West branch of Academy of Information Technologies. Chairman of council. 2002 – present. State University of Technology and Design. Professor. 1996- 2008 Saint-Petersburg branch of Academy of Information Technologies. Vice President. 1993-1994. Institute of Materials Study. German Aerospace Establishment. Position: Visiting professor. 1979-2000. Saint-Petersburg State University of Civil Engineering (former Leningrad Institute of Civil Engineering). Position: head of Department and scientifical advisor of regional laboratory of thermophysical investigations in technology and building. 1991-1994. Ekostroipribor Co. Ltd. Position: Chairman of the Company Council. 1972-1979. Central Institute of Schipbuilding. Central, Scientifical Laboratory. 1976-1979 Head of the laboratory main specialist in scientifical instruments technique in the ministry of schipbuilding. Former – seniour-researcher. 1964-1966 Central Institute of Current Sources. Leningrad Branch. Position: seniour-researcher. Physico-Technical Institute of Academy of Sciences of the USSR. Division of Semiconductors. Solidificaton technology of semiconductors, thermoelectricity materials, high purity metals and materials for civil engineering special instrumental sensors. Investigation in the field of estimation materials quality and technological processes efficiency. Physico-chemical investigations (computing methods). Special scientifical instruments for civil engineering, heat-mass transfer and thermoflows study. General theory of technology processes and its classification. General theory of manifolds and technologies. Theory of Information. Medthods of information search in Electronic nets and lobraries. Methods of activisation creative abilities and engineering skills of juniour students. PC-training programms. Computer assisted education. 2011 Silver medal named by Obraztsov «For ashievments in Russian enlightenments» (Russian Siciety «Znanie»). 1986. Sighn of Honour: «For achievments in higher education». preparing high perfection thermoelectical semiconductor alloys». «For preparing high quality silicon for solar battarays». 1993-present. Member of Russian Technical University Academic Counsil in the field of electronic materials. 1968-1993. State Pedqagogical University. Member of Academic Council in Physics and Didactic. 1975-1992. Vice-president of Regional Academic Council in physics. 1979-1994. Member of editorial council in semiconductor materials section of «Metallurgiya» publishing house. 1980-1992. Member of Academical Council in semiconductor materials production by Academy of Sciencies USSR. 1974-1980 Member of joint Academica Counsil in Semiconductors and Rare metals production. (Russian Technical University and State Mining Institute). 1964-1967. Academic secretary. Thermoelectrical section by Heat to Electrisity Conversion Academical Counsil. (Academy of Sciencies of the USSR). 1960-1964. Academic secretary. All-Union chemical society Leningrad branch physico-chemical section. Born March 13, 1931 at the City of Ekaterinburg (former Sverdlovsk Russia. Daughter of Ph. D. , colonel Vasily Nikitin and Ph. 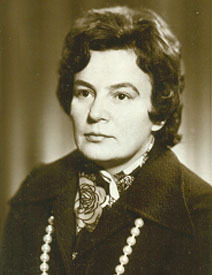 D. Ekaterina Pugach (both deceased). 2005 Professor: International Academy of Fundamental education. 1992 Doctor of science. Saint-Petersburg state university. 1963 Ph.D in technique. All Russia Institute of Electric sources. 1955 M.Sci. : Saint -Petersburg State Electrotechnical university. 2011- present North-West branch of Academy of Information Technologies. Vice Chairman n of council and main scientific secretary. 1998- 2008 Saint-Petersburg branch of Academy of Information Technologies. Main Scientific secretary. 1975- 1983 Higher marine school. Department of physics. Head of department. 1969 – 1975 Higher Military topographic school. Department of physics and chemistry. Associated professor. 1967- 1969 Saint-Petersburg State Institute of technology . Assistant professor. 1964-1967 Institute of Semiconductors of Russian academy of Science. Researcher.